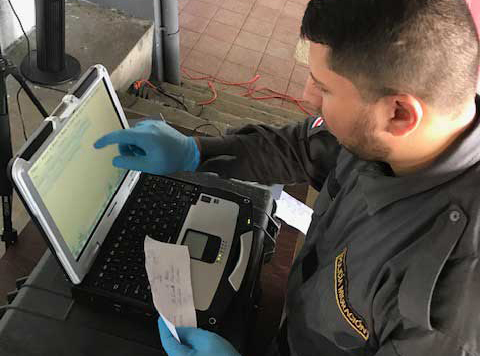 Using American-bought equipment, Costa Rican immigration officials collect biometric eye scans and fingerprints in Paso Canoas at the Panamanian border. 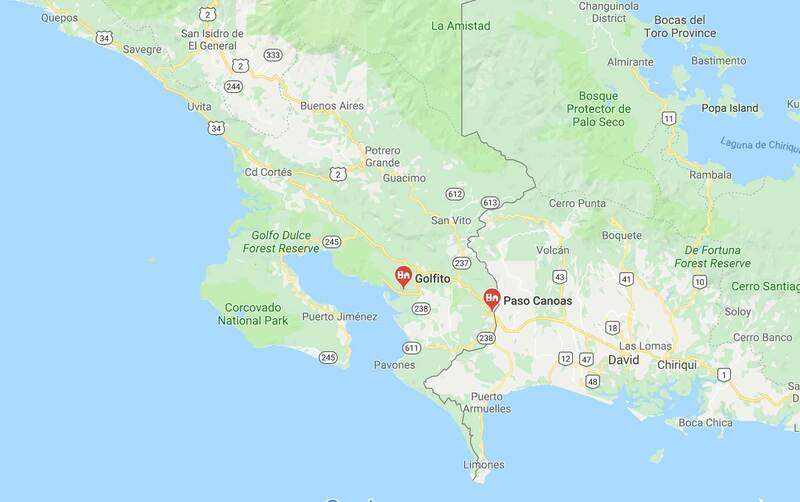 According to an agreement between Panama and Costa Rica, busloads of northward-moving migrants that American homeland security authorities know as "special interest aliens" arrive at the Costa Rica immigration processing station in Paso Canoas. Today (Wednesday, December 12), more than 100 were dropped by prearrangement, among them Pakistanis, Bangladeshis, and Sri Lankans. 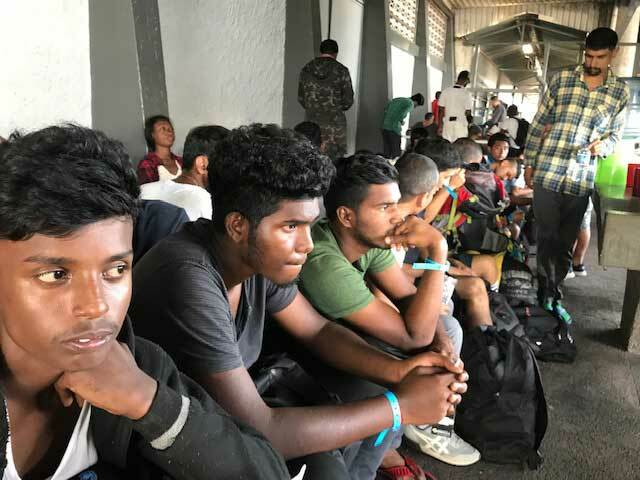 All of them were caught in the prior weeks smuggling through Panama's arduous Darien Gap jungle leading them out of Colombia and into Central America as they push to the American border. Most had no identification when they were caught, having ditched bogus passports and fraudulent visas used up to that point. Special interest aliens in Costa Rican immigration custody Wednesday, December 12. But American authorities have long been wary about unidentified people who originate in countries where Islamist terrorist organizations are active. The Americans want to know who they are long before they reach the U.S. border, especially so they have a chance to check international terrorism databases for any past connection to terrorist organizations. But the biometrics collections here also can be used if any given migrant tries to change his identity once he reaches the U.S. border. 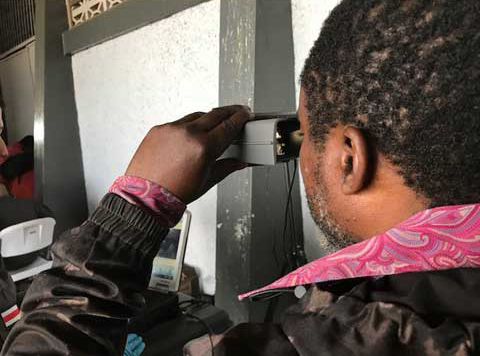 So the Costa Ricans here at Paso Canoas systematically tag them to whatever identification they are offering by fingerprinting them and taking eye scans and three-angle photographs — all on equipment provided by U.S. taxpayers for this unique counterterrorism strategy. Once they are catalogued, all 100 will board buses and be taken to a camp called El Golfito about 20 miles north, where they will stay for a few days. The migrants from Islamic countries will be interviewed and the results provided to American homeland security. Then, they are released to continue their journeys to the American border. CIS has been traveling throughout Panama investigating how special interest aliens move through this crucial bottleneck country — and what local governments do to help the United States ensure that none are Islamic terrorists seeking to infiltrate to the southern border. Look for a full report on the findings soon.